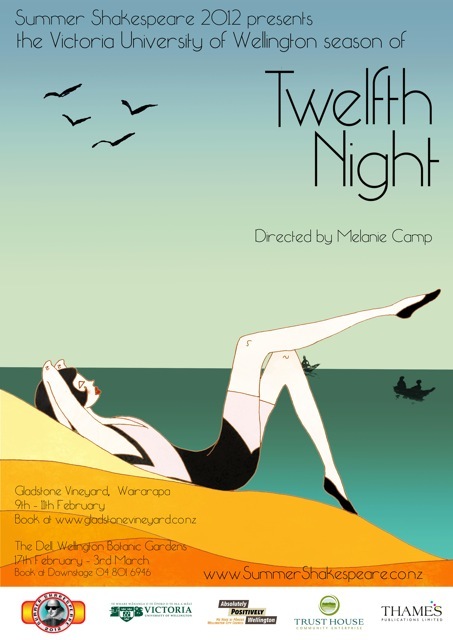 Twelfth Night tells the story of Viola, a young woman shipwrecked in the country of Illyria who decides to dress as a man to make her make her way in the new land. She comes to serve the lovesick Count Orsino in his courtship of Lady Olivia, who instead falls for the fetching young go-between. Along the way, we met Sir Toby Belch and other riotous court characters, as well as that officious steward, Malvolio. Melanie Camp's production, set by the seaside in the 1920s, promises to be a sassy, mischievous affair of colourful costumes and lively music. From raucous comedy to swooning romance, Twelfth Night swings through the many moods of love and life with wit and laughter. Ah, summer. With a bit of luck, you’re reading this whilst sitting outside on a blanket or deck chair, surrounded by a delicious picnic and some pleasant company (and probably a warm jersey or two). Summer is a time to sit back for a moment, take a breath, and savour all the wonderful things about life. That is why you have come tonight, after all. And the characters in Twelfth Night are experts at savouring the good stuff. Our Twelfth Night was influenced by the 1920s. It is an era that conjures up a certain carefree hedonism that is accentuated by the two tragedies either side of it: World Wars One and Two. Suddenly the happy moments become so much more precious. In the same way, the madcap frivolities of Twelfth Night are given depth and weight by the darkness that runs underneath: loss and greed. We value laughter and music because someone tried to take it away from us. We value love and life because, for a minute there, we thought it was lost. However you choose to take it, the main goal of our production this evening is enjoyment. We have had a ball creating this for you, and we hope you have a ball watching it. I am incredibly grateful to my talented cast and production team who have worked so hard and given so much over the past few months. It has truly been a team effort.